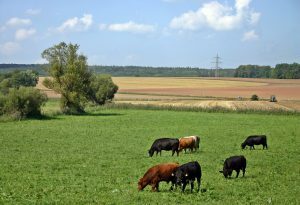 The Kansas-based Cattle Trace pilot project is on track to begin testing a purpose-built infrastructure for cattle disease traceability by this fall. Traceability is a top priority for the cattle industry. The Cattle Trace pilot project will help kickstart discussions and development on an enhanced traceability program in Kansas and around the country. Last month, CattleTrace, Inc., was established as a private, non-profit corporation to securely maintain and manage the data collected as part of a disease traceability pilot project. The Cattle Trace Industry Advisory Committee has been working on recruiting participants within each segment of the beef supply chain. They’re also working on the installation of technology systems at the packer, feed yard, and livestock market levels, as well as the recruitment of cow-calf producers. Approximately 55,000 Kansas-based calves will be tagged for the pilot program that will conclude in 2020. During the project, CattleTrace will collect the minimal data necessary for disease traceability, including the date and time, an individual animal’s identification number, and a GPS location, each time an animal’s tag is read with a pilot project reader in the production chain.